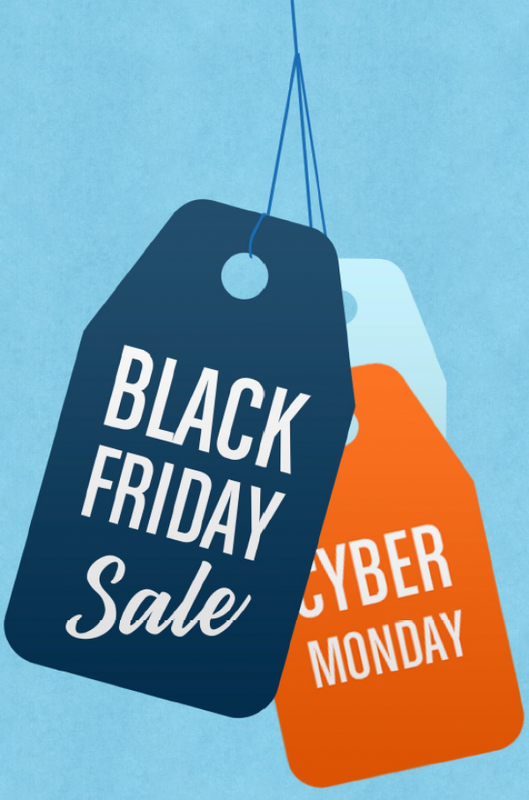 Today thru Cyber Monday, shop the Blue Spotted Owls Thanksgiving weekend sale! Friends and Family can save 20% this weekend! Stop by, have a cup of coffee and pick up a few cute gifts for friends or co-workers on your shopping list! Everyone else can get free shipping in my Etsy shop all weekend long!Just click on the link at the top of the page that says Etsy Shop and at check out enter coupon code: gobbleupfreeshipping now thru December 2, 2013! Going to see a local high school musical is a fun inexpensive night out. We have a group of friends like us, even though their kids are no longer in school still enjoy going to see the performances at the local high schools. We usually meet for dinner and then go to the show and it makes for a lovely evening out! The tickets are so much less expensive than going downtown to see a show, and sometimes they are so professionally done that I am almost always awed and amazed! There are some awesomely talented students out there, and it is really good way to support the arts in your area school district. We had the opportunity to go see Shrek the Musical put on by Walled Lake Western high school. And since Shrek is one of my favorite animated movies (who doesn't love an ogre and a donkey), I thought it would be fun to see. The show was sold out and was a lot of fun. The ensemble was huge and it was an action packed musical with colorful costumes, witty lines, and a lot of funny fairy tale characters! It was a show that kids and adults could both enjoy! I am pretty sure that my friends grandson Caleb's favorite part in the show was the farting orge :). Walled Lake Westerns Choral Director, Greg Cleveland always does an amazing job with the students and I am always in awe at the scope of the productions. We have seen many shows at Walled Lakes three high schools including Joesph and the Amazing Technicolor Dream Coat, The Beauty and the Beast, The King and I, My Fair Lady, and Hairspray to name a few and have not been disappointed yet! We enjoyed the show and had another fun night out with our friends! Check out your local high school for fun events and shows like this. With the holidays around the corner there is a lot of things happening. If you are in the Christmas spirit a lot of high schools have their Christmas music concerts which are usually fabulous and is bound to get you in the Christmas spirit! So, I realized that the recipes that I have been sharing have not been extremely healthy or low calorie. With the holidays we tend to pull out the family favorites and they are not usually the ones we use and enjoy every day of the year... at least they probably shouldn't be. 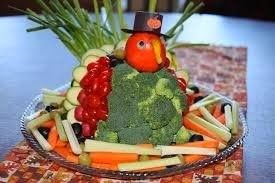 I wanted to share a few healthier recipes to get us through that stretch between Thanksgiving and Christmas to keep us on track. It is OK to indulge a little over the holidays... but there are many "non party days" in between to make good choices so when we get to that holiday party we can splurge a little! This is a great recipe for a moist breakfast or snack muffin that has no oil or butter or flour in it! It is made with oatmeal, bananas and Greek yogurt and the are only 3 points + each on the Weight Watchers plan if made with sugar or 4 points + each if you add the chocolate chips. Sometimes I make them using a sugar blend or a sugar alternative like Domino Sugar/Stevia Blend, so I figure using this instead of sugar and adding the chocolate chips they are only about 3 points + for each muffin! Directions: Preheat oven to 400 degrees. Spray muffin tin with nonstick cooking spray. In mixer bowl combine sugar blend, baking powder, baking sod and mix together. Add eggs, vanilla, mashed bananas and yogurt and mix. Slowly add in oats until combined. If adding chocolate or cinnamon chips fold in. Bake for 20 minutes (toothpick check)... Enjoy! Makes a dozen yummy muffins. Great for breakfast or a snack served with fruit! They freeze well and are great to have on hand for busy mornings! Cooks Notes - Next time John wants me to add walnuts, he loves nuts in everything and I think they would add a nice crunch and texture! He loves to eat them warm with honey! that no one will eat are perfect for baking! Frugal Tip - I freeze my bananas that are over ripe to use in baking, so I always have some on hand! They are sweet and best in baking when they are over ripe and no one will eat them anymore. It is a great way to stretch your grocery budget and not waste food! I just throw the banana in a gallon ziplock bag in my freezer and freeze them whole in the peel. When ready to use, simply pull the desired amount out of the freezer and lay on counter to thaw. When ready to use the cut the end off and squeeze the banana out of the peel... it is a little mushy but perfect for baking!!! I usually double up my recipe and make extra for the freezer to for busy mornings! because they freeze well so I like to keep some on hand for busy mornings! make extra for the freezer to pull out on busy mornings! Remove from pans and let cool on wire rack or eat warm with honey! We don't have many young kids in our family anymore (I need some grand kids ), except my brothers daughter Madeleine, and they usually visit my sister-in-laws family on Thanksgiving. 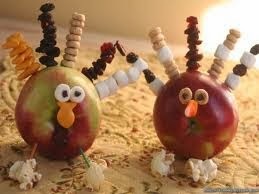 But when we did, I always liked to have fun things to occupy the kids after dinner. 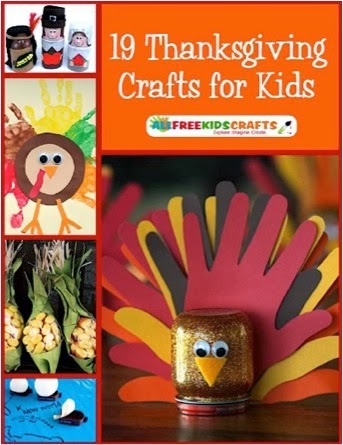 A "Tree of Thanksgiving" craft to add leaves of things they are thankful for, a coloring book, a turkey apple or pine cone craft, and Thanksgiving Trivia are always fun ways to get the kids and adults engaged in activities together. 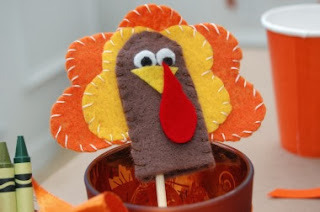 I recently scoured Pinterest to find some fun ideas if you have young kids visiting this Thanksgiving you might want to check these out! You can go directly to the page by clicking the link (caption) below the pictures! 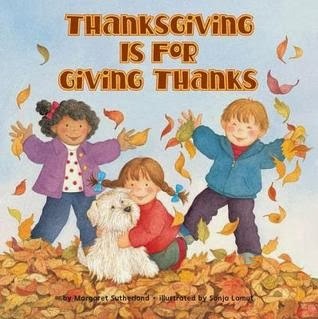 Also there are many good Thanksgiving Books for children to understand about what being thankful is and why we should give thanks for our many blessings. 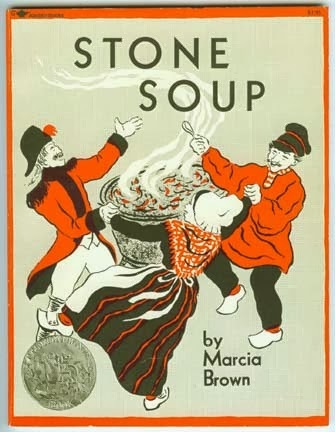 I worked in a preschool and around Thanksgiving one of my favorite activities we did was from a Book called Stone Soup. The book was first published in 1947 by Marcia Brown and is based on an old French tale where three hungry soldiers outwit some some greedy villagers into providing them with a feast! The children would each bring something to add to a pot of soup, we would act it out for the parents in a little program and in the end we would have a big pot of soup that the kids helped make and we would have a big Thanksgiving Feast with a large pot of soup big enough to share! 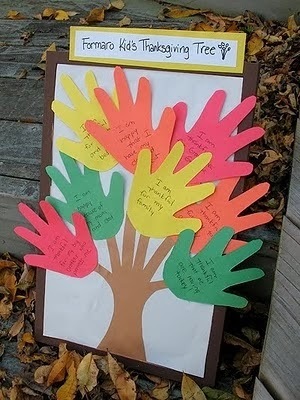 Have fun with your little ones this Thanksgiving and use it as an opportunity to teach them to have a grateful and giving heart. I am a list maker, always have been always will be. I laugh at my Mom because she is such a planner, but in all reality, I am just like her in many ways. I was a girl scout and isn't one of their motto's, "always be prepared" (or maybe that's the boy scouts!) 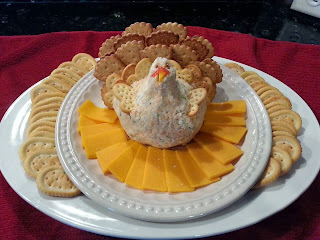 I know that it is not always possible in this hectic busy world we live in, but a little forward planning and forethought does make holiday entertaining so much easier! I have been making Thanksgiving dinner for my family for many years now, and it doesn't even stress me out anymore. Really when you think about it, you are making pretty much the same meal every year, with maybe a few new additions of new recipes that you want to try. So I have had a lot of practice now! While thinking about making Thanksgiving dinner and planning my menu I thought I would share some of my top ten tips for simplifying Thanksgiving with you so maybe you can relax and enjoy the holiday this year! The cook should definitely enjoy it too! Plan ahead (this is a no brainer), get out a paper and pen and make a menu at least a week or so before the big day. Take a little time and think about what you are going to make, make a list, get out the recipes, and make a shopping list of ingredients and supplies that you need. 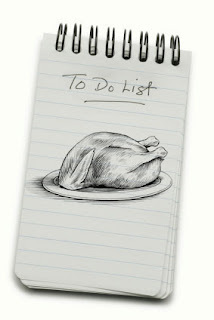 Here is a great printable for a Thanksgiving dinner planner for your Thanksgiving Feast from momsbudget.com! Shop early! Get what you can a week or so before so you avoid the last minute big shop at the store. It is always busier a day or two before a big holiday. 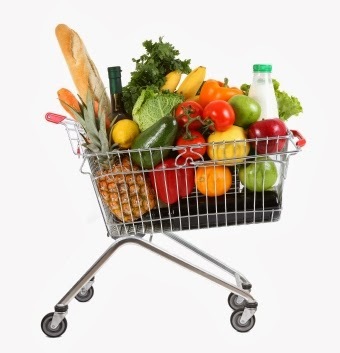 Make a short list of perishables that you can run out to get a day or so before and go though the self serve line! 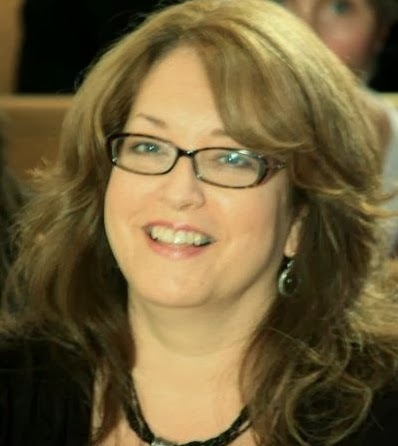 Delegate! If you have friends and family invited, ask them to bring something. Doing this not only checks some stuff off your list but makes the guests feel part of it too! I find it is wise to ask guests to bring, appetizers, salads, or desserts and leave the main dishes and hot sides for the home cook because it is easier to control when everything is hot and ready to go on the table and also easier for your guests to transport and store once they are at your house. Simplify your menu. For a large meal like this you don't need 100 side dishes! I know all the recipes in the magazines look amazing, but you don't have to try them all for this one meal! Limit your sides to 3 or 4 favorites! Never, Never, Never try out a new complicated recipe for a big meal like this. Stick with the tried and true, and save the experimenting for smaller less stressful meals. Plan every detail. Decide who is going to sit where and make a seating arrangement in advance. You don't want Grandpa Joe sitting next to cousin Ed if they don't get along. 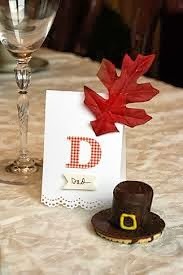 Make place cards so it is clear! Think about your table setting and decorations ahead of time and keep it simple. 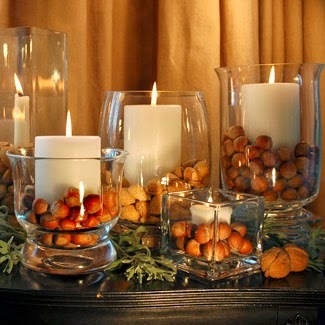 A bowl of fruit, nuts or gourds can be a simple striking centerpiece for Thanksgiving... you don't need much because you need to save room for all the food! Set your table a day or even two before. Especially if you have a dinning room that you don't use everyday! 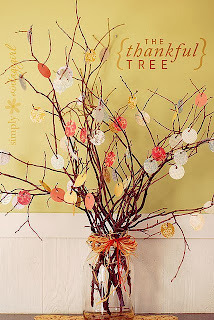 This is something that you don't need to save for the last minute! Get it done early and forget about it! If you have tables that need to be set up for guests in rooms that you use everyday. Just get the table cloths, napkins, centerpieces, and table settings ready and in a box that can be pulled out and set up the morning of! Make ahead! 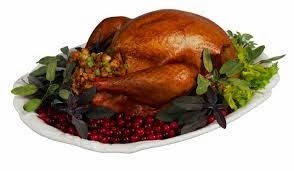 Start cooking one or two days before Thanksgiving anything that can be made ahead, do it and get it out of the way. 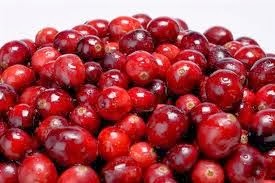 There are plenty of things that can be made in advance, like cranberry sauce. It can be made and put in the fridge... the flavors blend and become more intense the next day anyway! 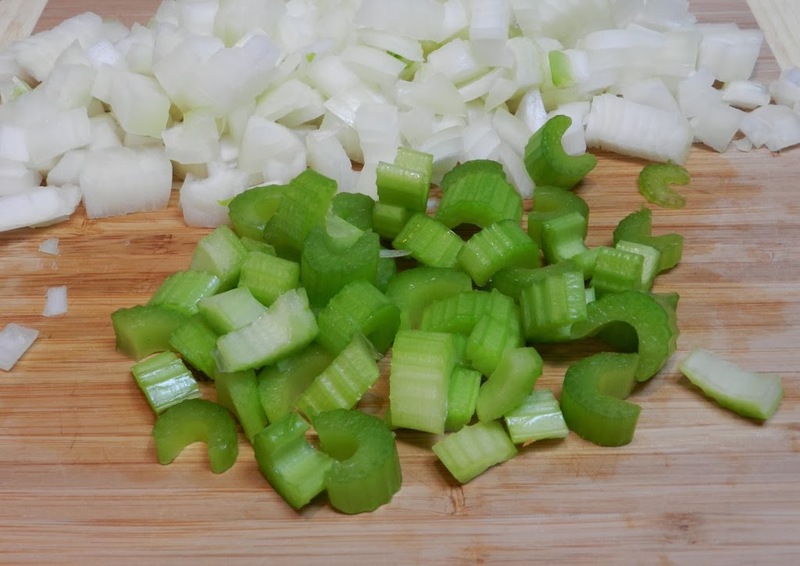 I always cut up my celery and onions for my stuffing the day before, and it saves a ton of time! Count your blessings. 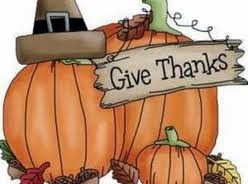 Thanksgiving is a time to reflect on what we are thankful for. Take the time to do this. 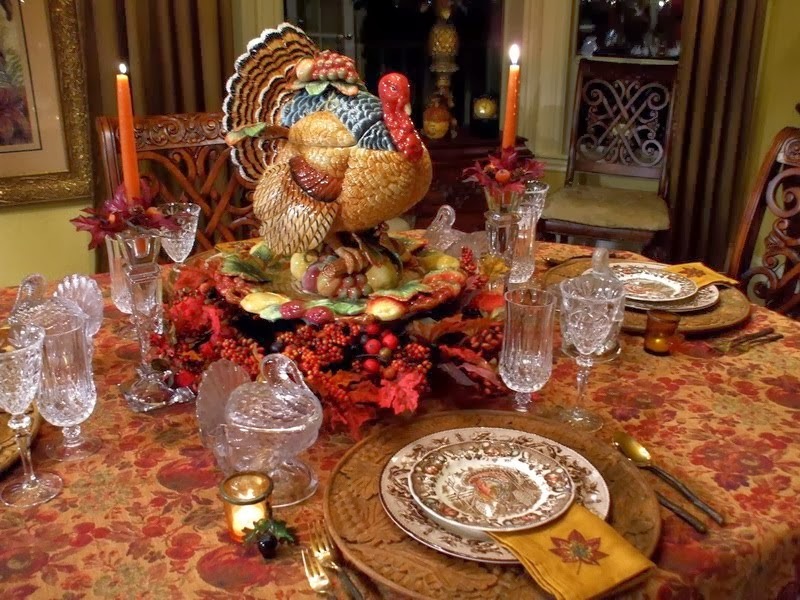 You are going to be busy getting dinner ready so take a few minutes the night before and really think about why you are thankful, then when everyone gathers around the table with the beautiful meal you have prepared, look around and really see all those blessings. Ok, so I had 11 tips but who is counting! Number 11 is, relax and enjoy the day! 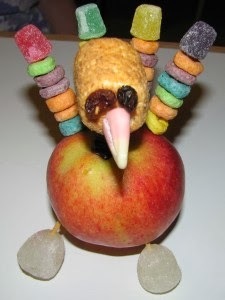 What is the worst that can happen... the turkey is a little dry? 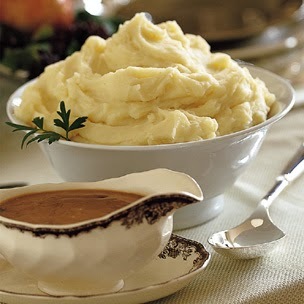 It's not the end of the world... nothing a little gravy can't fix! Not yo' Mama's fruit cake... well, actually it is! My Mom has made this delicious cranberry orange nut loaf cake for years, it is one of my Dad's and my favorites and I thought it would be fun to have her show me how she makes them. This is a delicious fruit and nut bread/cake perfect for your holiday table. It combines tart cranberries, nuts and dates, and it is soaked in a sweet tart orange juice, sugar mixture that makes it moist and delicious! 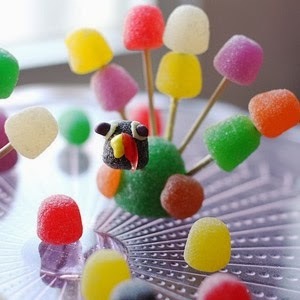 My Mom and I decide to make a large batch of this to enjoy over the holiday season. It freezes well so we will have plenty to share with friends and family at holiday gatherings. She clipped the original recipe out of the Oakland Press about 30 years ago and still has it in her recipe box! 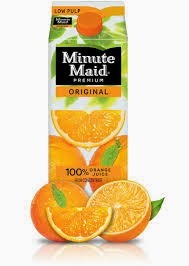 Directions: Mix orange juice and sugar and stir to dissolve, set aside. Sift dry ingredients together. Stir in cranberries, orange zest, nuts and dates. Mix eggs, milk and oil in separate bowl, add this to flour mixture, mixing well. Bake at 350 degrees for about an hour or until toothpick in center comes out clean. Bake in 10" tube pan (bundt) or smaller loaf pans that have been sprayed or greased and floured (we also put some wax paper into pan to make removal easy.) Let set in pan for about 10 minutes then remove to cool to luke warm on a cake rack. 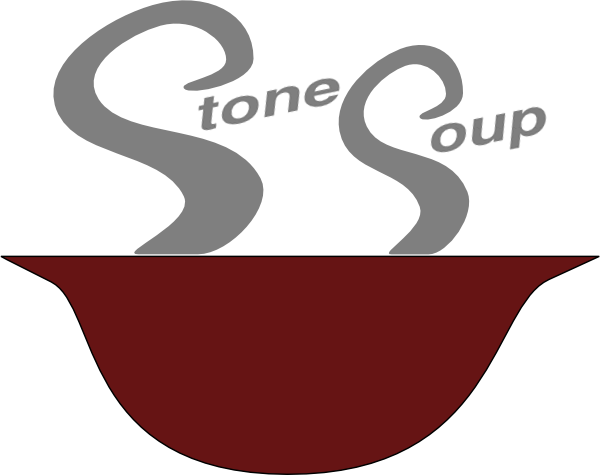 Place rack over a wide dish or pan. Pour and spoon the orange juice/sugar mixture that you made at the beginning over cake using the drippings until all is absorbed in cake. Wrap cakes in foil and refrigerate 24 hours. 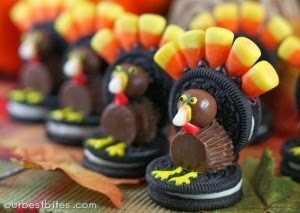 Serve with whipped cream. Keeps in refrigerator up to 2 weeks. Freezes well. Cooks Notes - The original recipe calls for it to be baked in a Bundt cake pan but we usually make it in smaller loaf pans to make it easier for gift giving. We made a double batch today and it made 1 large loaf, 1 medium loaf and 3 smaller loafs. When completely cooled we wrapped them in foil and set them in the fridge for 24 hours to let the flavors combine, then we will put some of them in the freezer to pull out as needed over the holidays! preparing everything else, stirring occasionally. This insures that the sugar dissolves well! Bake until a tooth pic in center comes out clean. Keep spooning mixture over cakes until most of it is dissolved. We got a thumbs up! Baking for the holidays is fun, and it is always even better with someone else... Mother, Daughter, Sister, Friend. Take some time and do some holiday baking with someone special. You will not only make some yummy goodness, but some great memories too!